A database-driven website is one that uses a database for collecting and storing information. A database stores information in a structured way using tables on a web server. Web pages are created on the fly through the use of programming languages (such as PHP), which store and retrieve data in the database. Site owners don't have to worry about learning a programming language. They interact with the site through an easy-to-use content management system or CMS. Database-driven websites are more complex to design, but can be much easier for you to maintain your site's content than a static HTML web site. 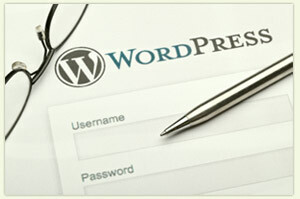 WordPress is an example of a Content Management System that is part of a database-driven website. Database-driven websites using a CMS such as Wordpress have admin panels with user-friendly interfaces where you can manage the site content. You can add, edit, or delete info by yourself. You can add or delete blog posts or web pages. Changing the website content can be done without specialized knowledge or expertise. The website administrator does not need to know HTML in order to make any changes. Most database-driven websites allow visitors to search the database to find a product or answer a question. All they have to do is enter the product name or question in the search form. Your database-driven website can be as large as you choose to make it. New pages will be created automatically as you add more records to your database. See Understanding WordPress | Getting Started with WordPress.